A successful career will mean different things to different people as we have different desires and goals. The meaning of a successful career will also change with time as you evolve professionally and personally over the years. To stay focused and on track of your successful career path, you need a career plan. Making a career plan is just like making any other plan. It involves two aspects – Strategic (What and Why) and Tactical (How). The strategic dimension of drafting a career plan involves a combination of soul-searching and looking at your life from a bird’s eye view or the bigger picture. The tactical aspect of your career plan involves a step-by-step action plan towards achieving your career goals. When charting your path towards a successful career, you should have a well thought-out and clear plan of both strategic and tactical aspects. 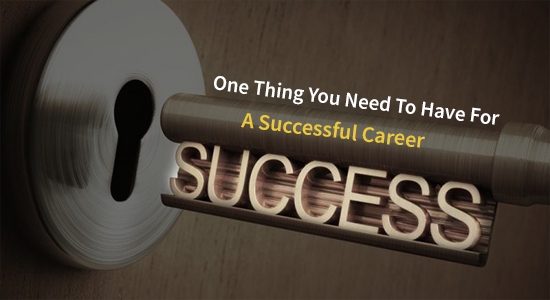 Fortunately, it is not complicated and requires a basic common-sense approach towards building your successful career. You can compare your career plan to creating and following a roadmap to success. Without a career plan or roadmap, you will be walking through your professional life with blinders. You will be merely fulfilling your professional tasks for the day without realizing how your daily work routine fits in your overall career plan. Having a career plan will help you stay focused right from the start to the end of your long career. It will define, develop and evolve with your core values and objectives, laying out the rationale behind them and making it easy for your achieve success in your professional life. Any successful career plan starts with You. This is where some deep soul searching, or self-assessment comes into play. Your personality and character count at this stage. You will need to think and write down your values, goals, and interests in life. Your values and goals mean what’s important to you as an individual. Your values indicate how you treat other people, and your goals signify how you want to live your life. Living your life without any goals or resolutions can be sad and unmotivating. You need goals to avoid living a directionless life. Having specific goals which bring your happiness and satisfaction when achieved is essential for both your personal and professional progress. When setting out goals, don’t be afraid of failure. Having a well-lived life means having both success and failure. The end goal should be to learn from both and use them as guides toward future success. Knowing your goals and values helps you find a job that matches your interests and what you want out of life. Your preferences are the things you like to do, as well as the things you prefer not to do. What kind of work would I enjoy doing the best my whole life and why? Do I like being around people or prefer to be alone? Do I enjoy studying or prefer to create something out of my own hands? Do I like to live in my home country or travel abroad? Self-awareness is such a crucial component of a successful career plan. Knowing your strengths and how to use them to your advantage can take you far in your professional life. Likewise, knowing your weaknesses also helps you to focus on working on them and choosing your career wisely. No matter your strengths and disadvantages, you should choose a career path that advantages your traits and qualities. If you are someone who is excellent with logic and analysis, a career in strategy and planning may be worth considering. If you are someone who works best alone, having a sales job or managing a team may not be your best job fit. If you are someone who is passionate about learning and dislike working on computers for long hours, teaching may be a great career option for you. Based on your self-assessment and self-awareness exercises, you can narrow down your career options and get started on gaining some fresh ideas on how to get started. Brainstorm all the different approaches that you can implement to reach your goal and zero in on the best option that works for you. Let’s say, you are student based in Hyderabad aspiring to be a global business leader someday like Satya Nadella or Sundar Pichai. Then, studying abroad would help you realize your goal. You may want to join a reputed GRE institute in Hyderabad and get enrolled for GRE coaching. You can start with searching for a “GRE coaching near me”. This will be your early career strategy. The tactical dimension of your career plan now comes into the picture. Once you assess your personality, character, strengths, weaknesses, resources, you can come up with a detailed action plan. A well-structured career plan lists the short term and long term goals as well as the deadlines and milestones. It is not just the drafting of the action plan which is essential as is its implementation. Let’s take, for example, Anita, a Bangalore based student whose goal is to study and work abroad. Her first course of action will be to search for a trusted GMAT institute in Bangalore and find the nearest location. She can speak to one of the career counselors in the Institute for any queries before enrolling into the GMAT coaching Bangalore. So, you need to take full responsibility for your professional life. Even though you have the plan in place, you still need to take action for the plan to realize your goals. You need a firm commitment, willpower, effort, perseverance, resilience, discipline, courage, focus and relationships to make your plan to be executed successfully and achieve the desired results. Your career plan is always a “work-in-progress” because you are continually evolving. You will need to review and revise your career plan periodically. Say every 6-12 months to stay relevant. There may be many reasons why you might want to either tweak or completely alter your career plan. From changes in your values, goals, interests, life events, industry changes, etc. So, keep your career plan flexible to any future changes while always keeping your standards high. People with high standards are usually more successful than those with average to less than average goals in life. Aim to be the best version of yourself always. Having a successful career begins with having a proper career plan. We hope that the essentials for a successful career plan is useful for you. 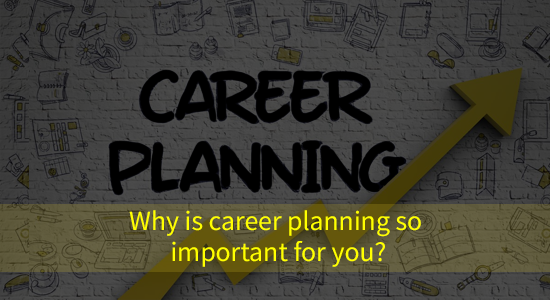 If you need more assistance with career planning, you can contact our career experts for help. Our career experts can help you decide what you want to do. They might be able to give you many ideas for careers and the right training for it.